A couple of months ago we were focusing on Geology as our main project in our schoolwork. We were learning all about the layers of the earth and Mum asked us to make something to demonstrate it. So I decided to make a cake symbolising all the layers. 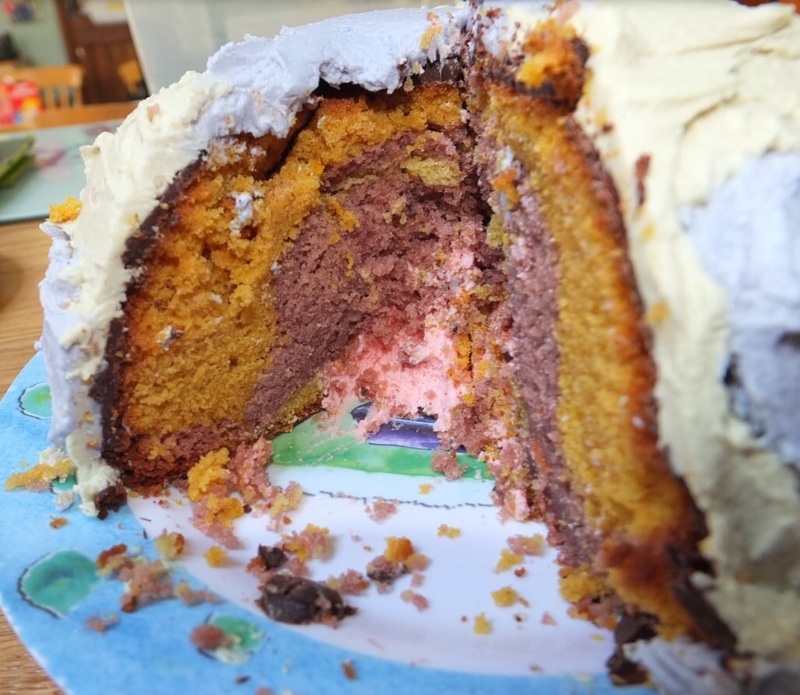 I baked a bowl cake and used different food colourings to resemble the Outer Core, Mesosphere and Athenosphere layers. Then, I scooped out a bit of the middle and filled it with coloured buttercream, this was the inner core. Then I melted some chocolate and poured it all over the cake and scattered some edible silver balls on top to create the rocky Lithosphere. Finally, I mixed some buttercream, coloured it green and blue to resemble the earth and spread it over the set chocolate.